We had an early start this morning in order to get the walk up Caiston Glen to the Scandale Pass over and done with during the relative cool of the early morning. 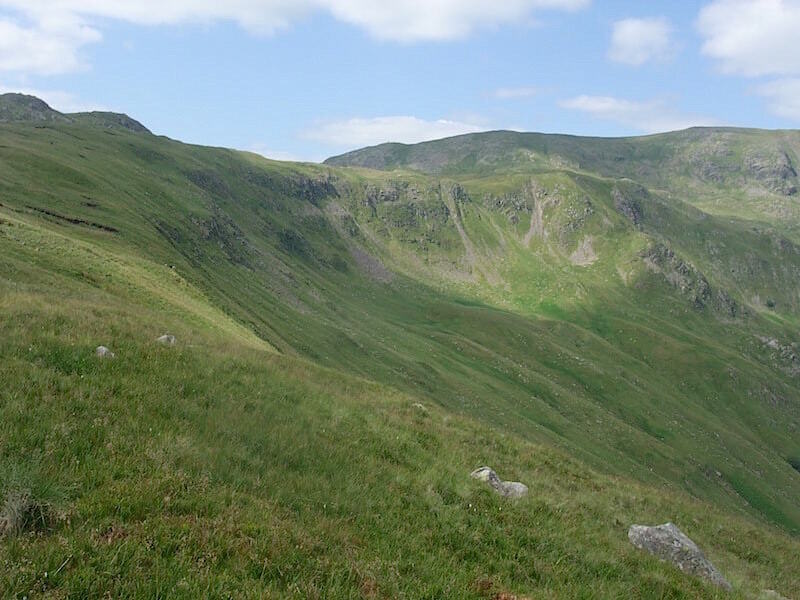 It can feel quite stifling walking up the Glen between High Hartsop Dodd and Middle Dodd, especially if there isn’t much of a breeze, which there wasn’t today. 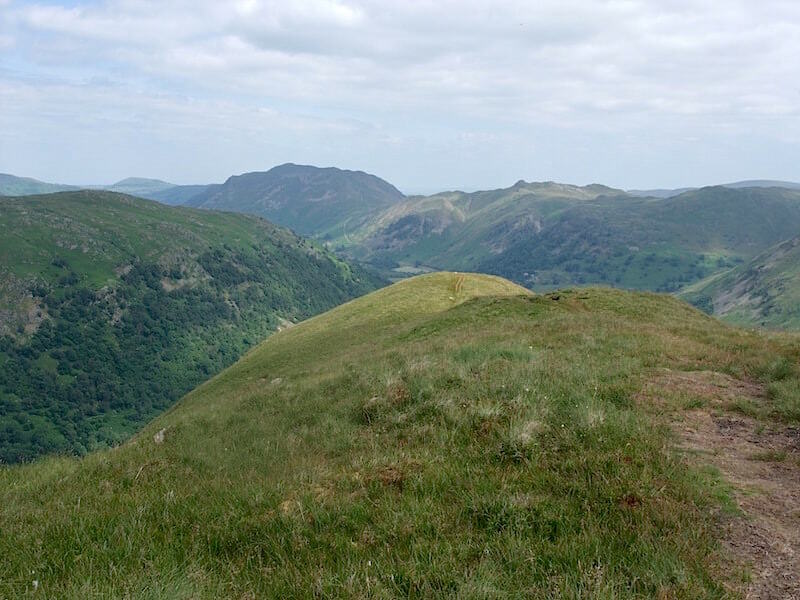 We parked in one of the larger lay-bys towards the bottom of the Kirkstone Pass and then crossed the fields to pick up the path climbing alongside the lower slopes of High Hartsop Dodd. 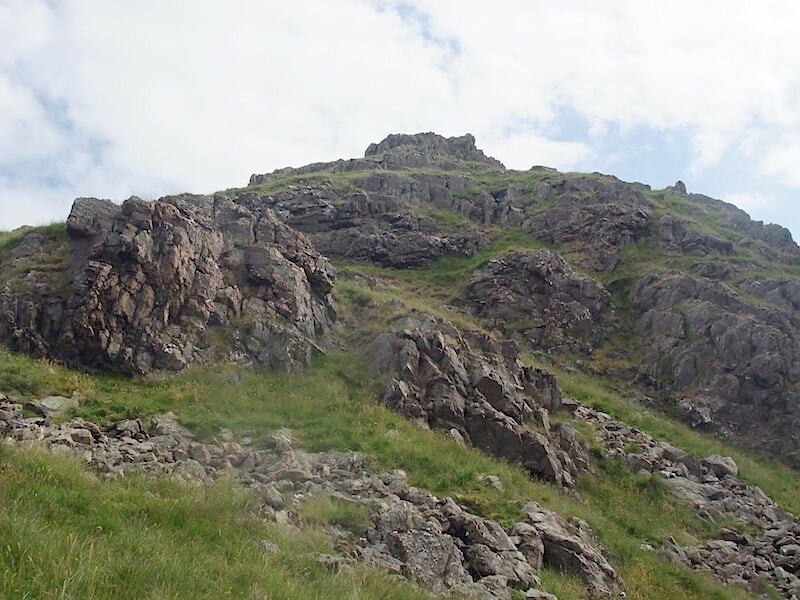 I obviously didn’t take any photos on the way up the glen so this view of Little Hart Crag is the first one, taken when we had a short break at Scandale Pass before carrying on up to the summit of it. 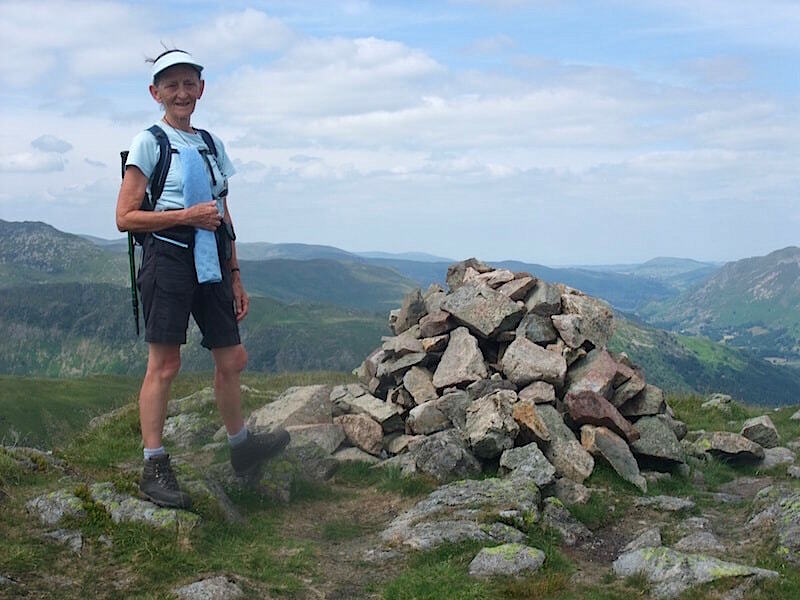 Climbing up to Little Hart Crag from the Scandale Pass with a view of Red Screes behind us. 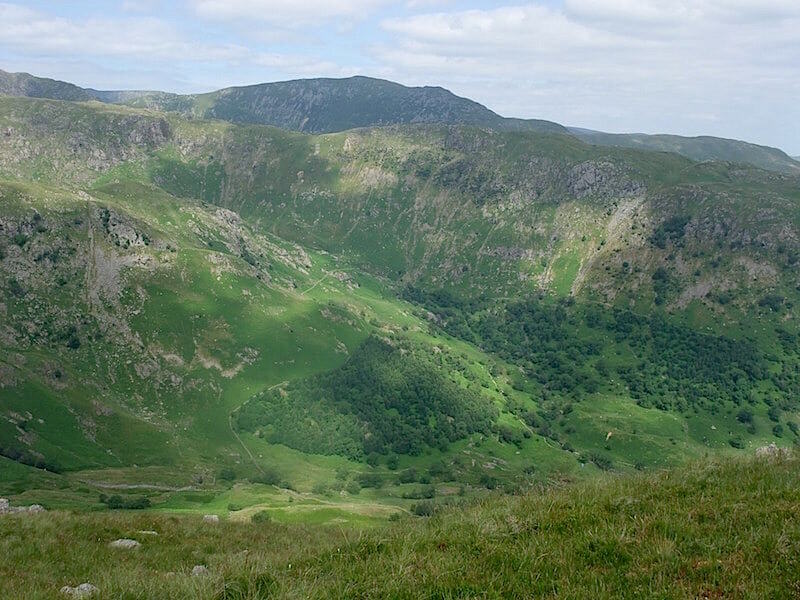 Up on Little Hart Crag and looking westwards across Dovedale to Saint Sunday Crag on the middle skyline. Still looking across Dovedale but moving the camera a little to the left brings Dove Crag, to the left of the centre skyline, into view. 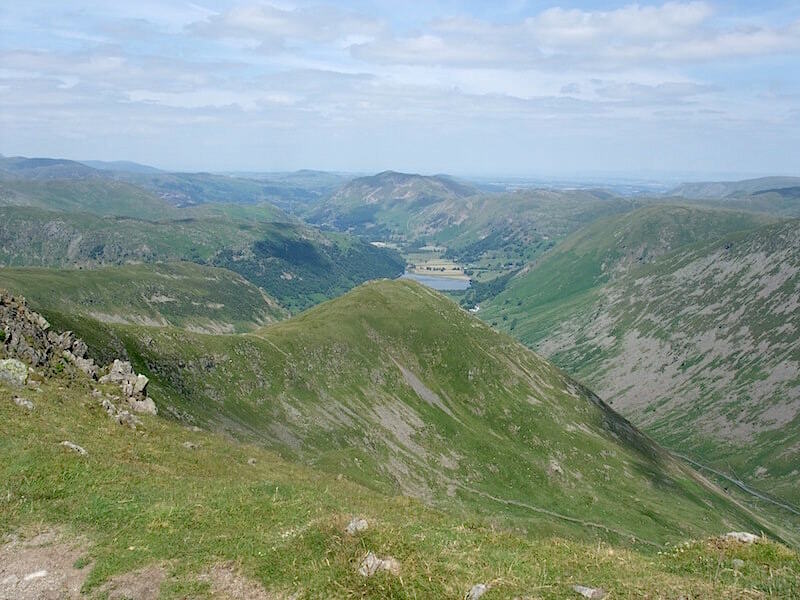 A look back at the two tops of Little Hart Crag, on the extreme left of the skyline, as we drop down to High Hartsop Dodd. 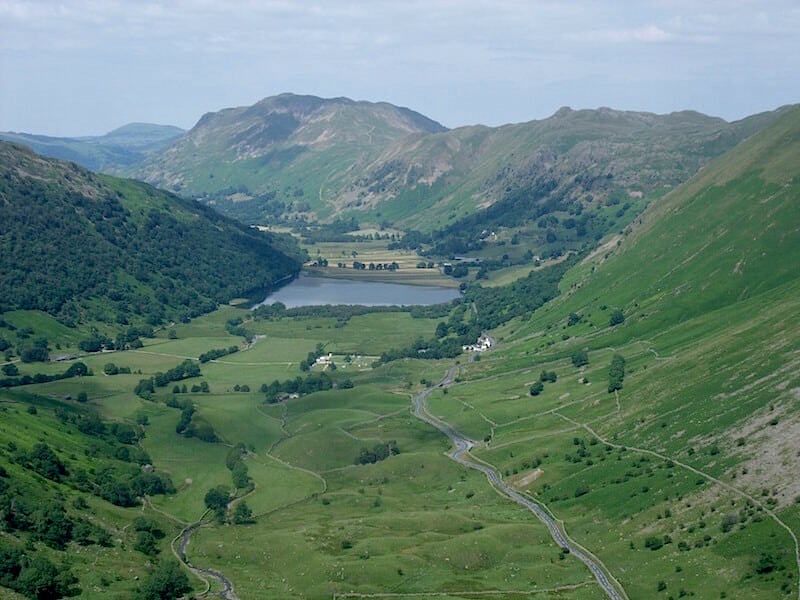 The view from High Hartsop Dodd. 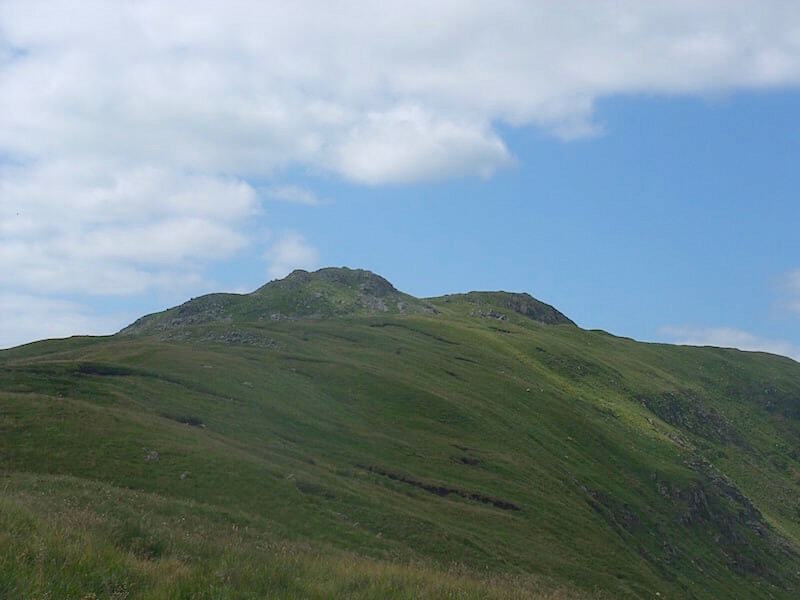 Ahead of us is the knobbly summit of Angletarn Pikes, on the right skyline, and to the left of it is Place Fell. 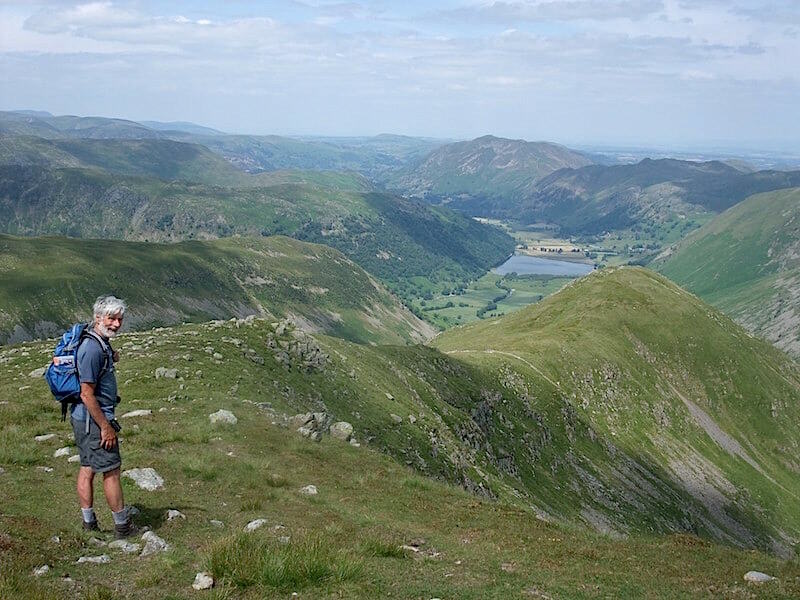 From High Hartsop Dodd, where I don’t seem to have taken any summit photos, we turn around and make our way back up to the twin tops of Little Hart Crag. 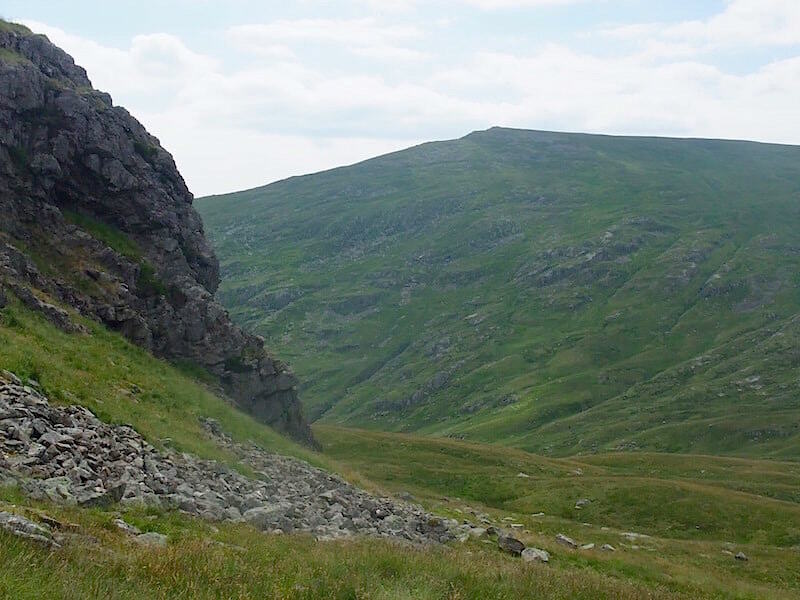 We returned to the Scandale Pass where we stopped for a lunch break before making our way across to Red Screes. 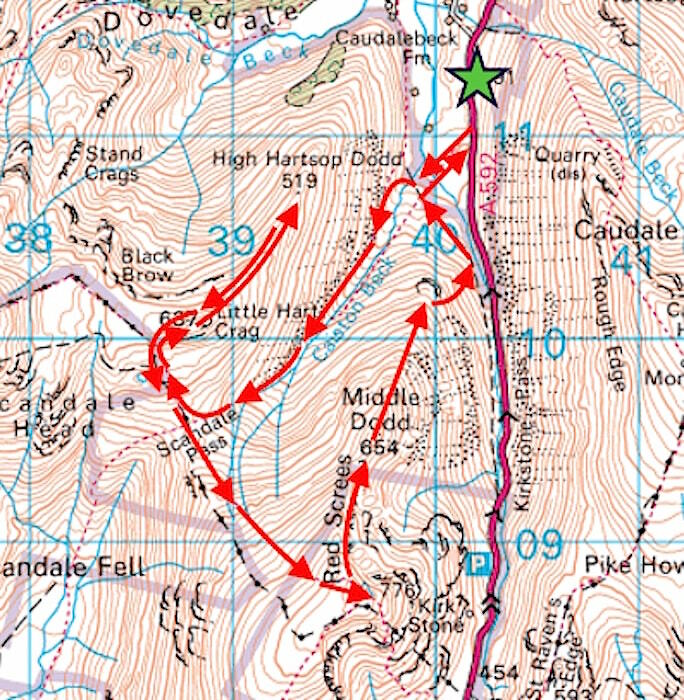 On the way I took a look over at Middle Dodd which will be the next, and last, fell on our route today. As can be seen from the shot the path drops very steeply beyond that high point below us. 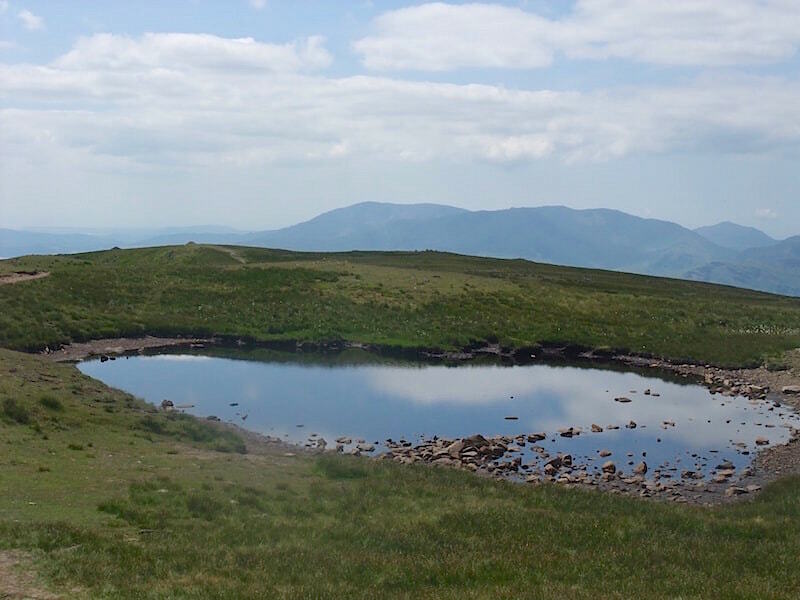 Up on the summit of Red Screes now with the Coniston fells on the skyline beyond the tarn. 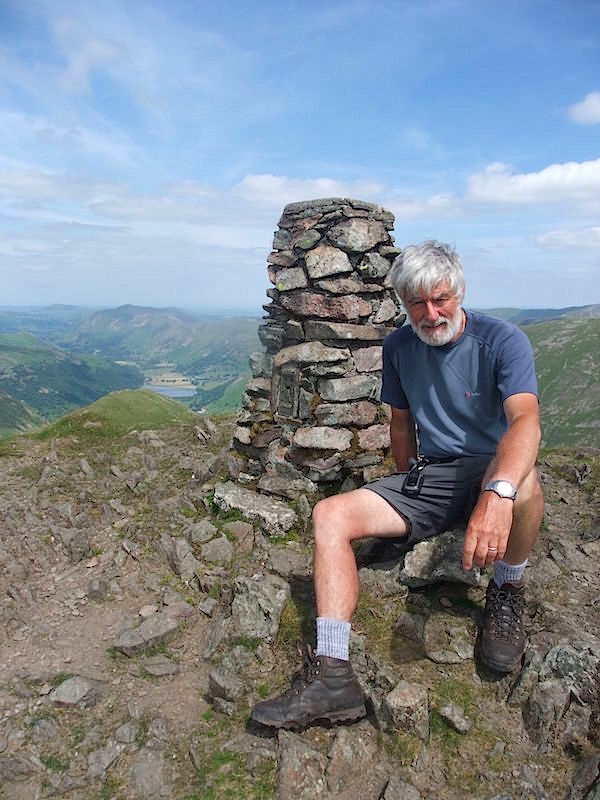 A chance for a sit down while I take a summit shot at the trig point. 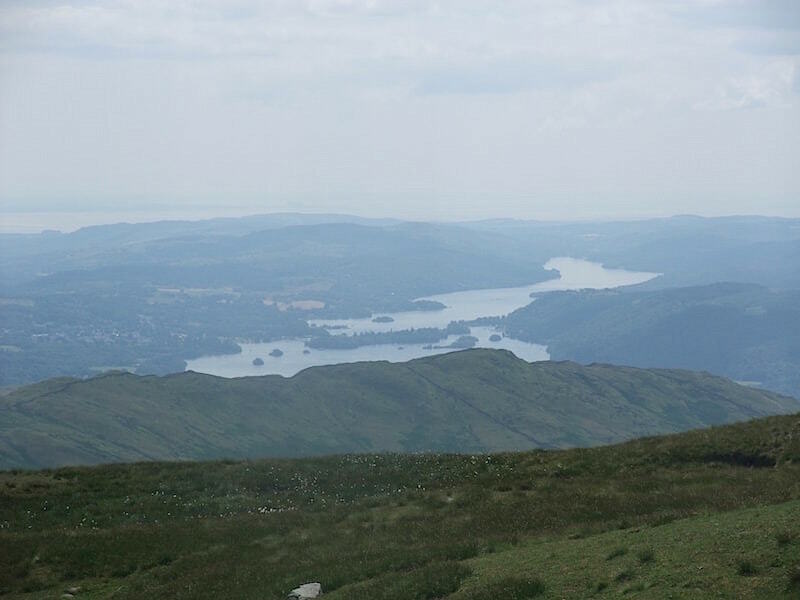 A hazy view across Wansfell and Windermere from the summit. Looking eastwards from the summit. 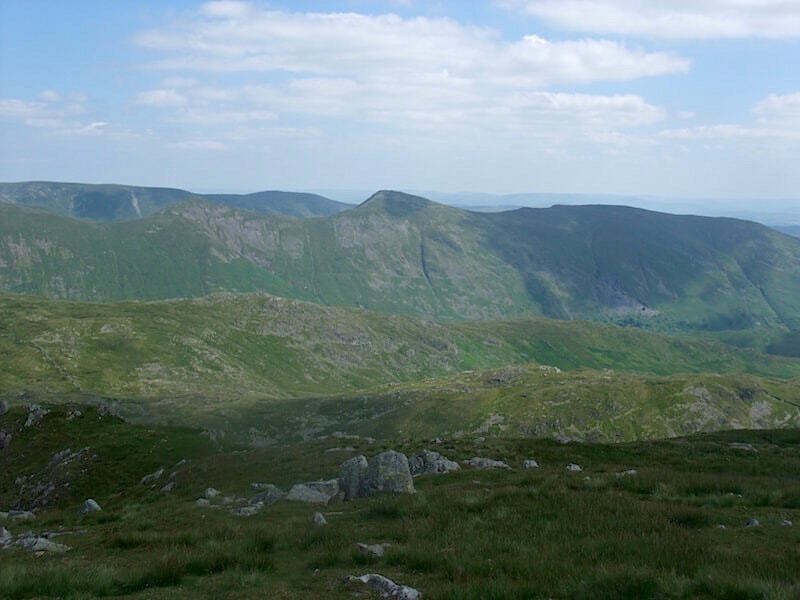 On the left skyline are Harter Fell and Kentmere Pike. 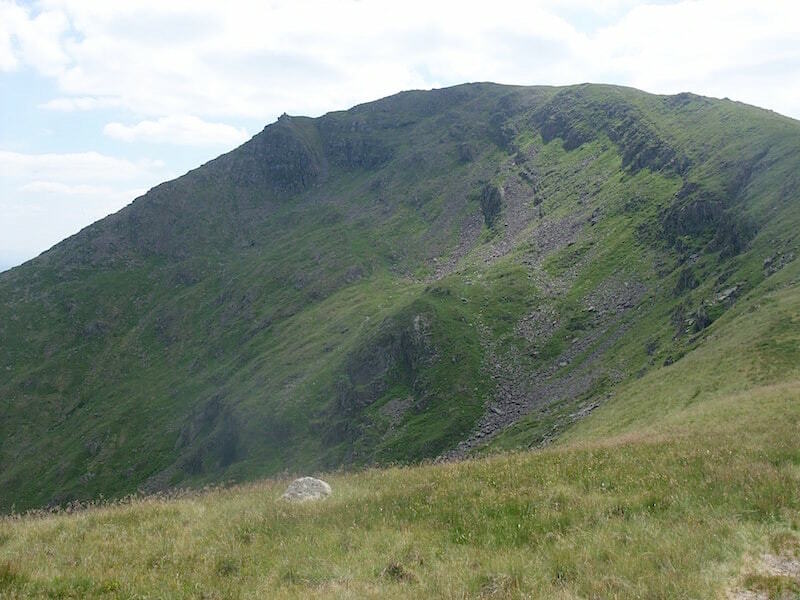 In front of them are Froswick, Ill Bell and Yoke, in front of which is Woundale’s Hart Crag and just to the front of that is St Raven’s Edge. 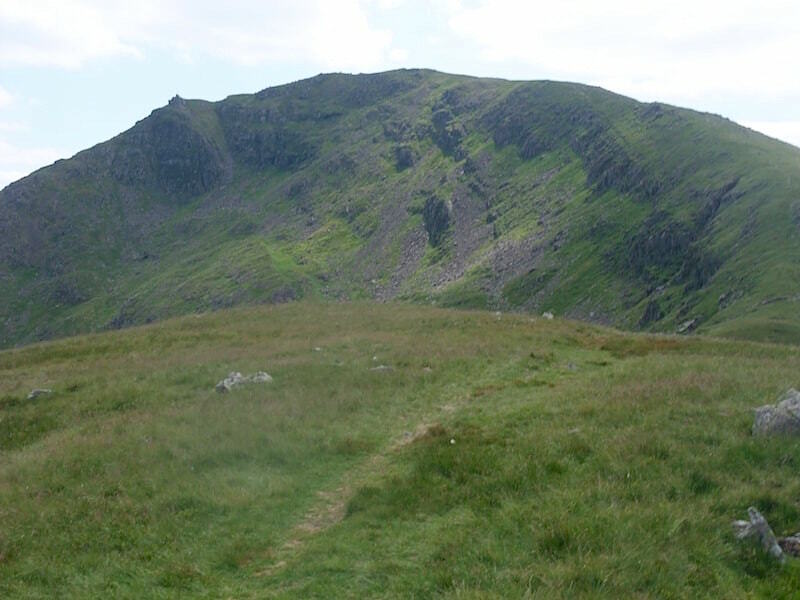 Off we go from Red Screes down to Middle Dodd. 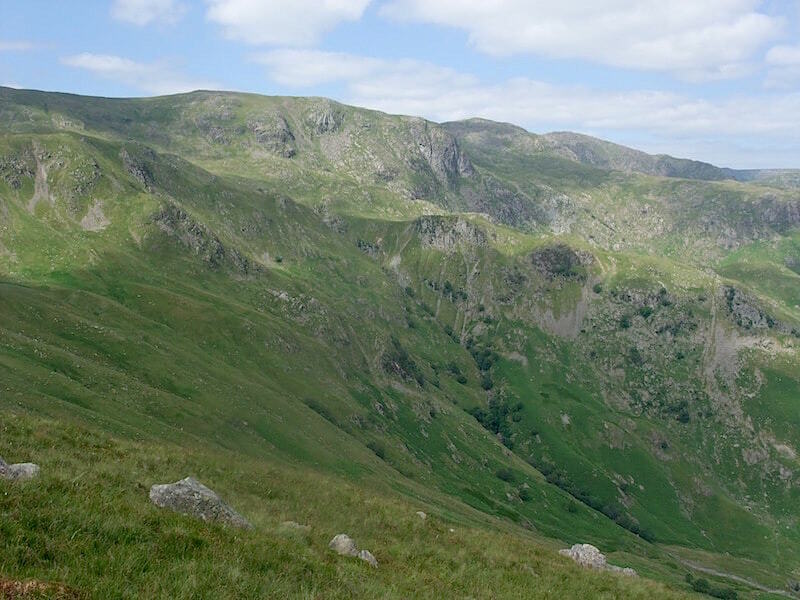 A look back at Red Screes as we make our way over Middle Dodd. A quick stop at the cairn on Middle Dodd. 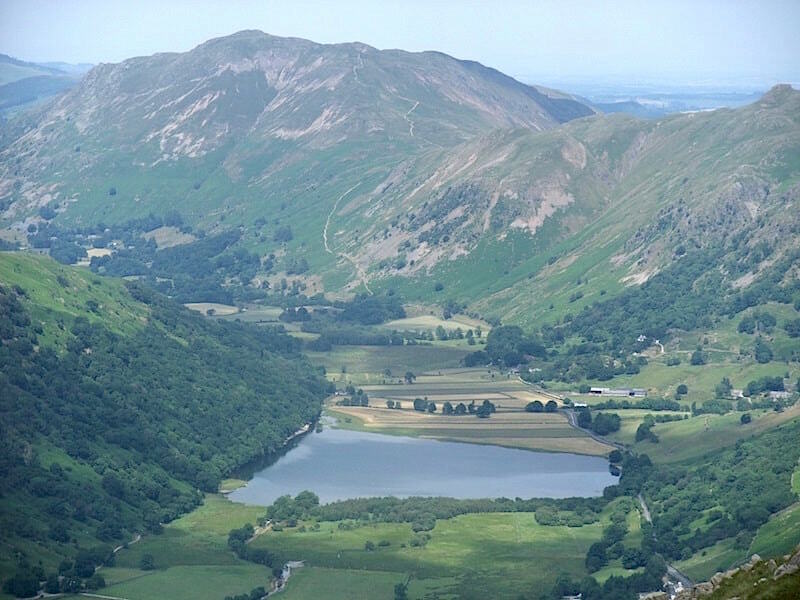 A lovely view along Brothers Water across to Place Fell as we descend. 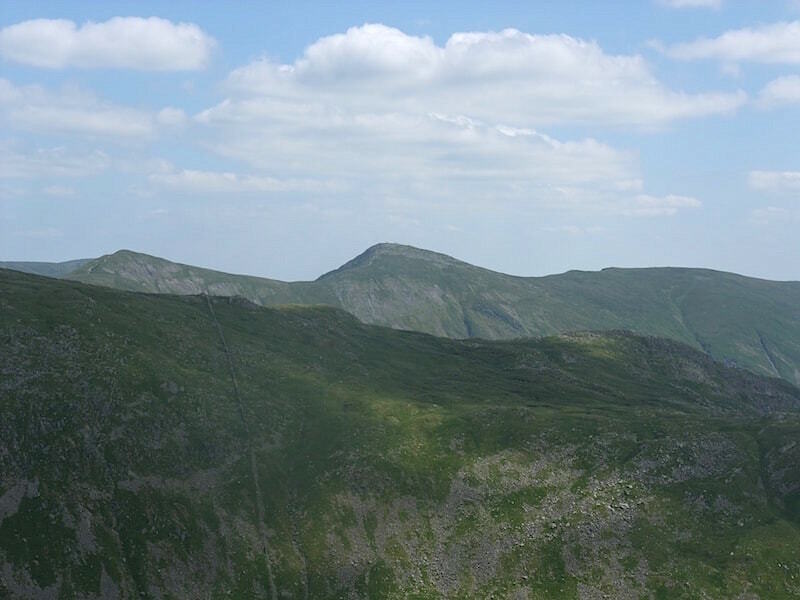 Another look back at Red Screes from the descent …..
….. and another look over to Froswick, Ill Bell and Yoke. The final part of the descent is very steep but you do get this fabulous view all the way down. Towards the bottom of the shot you may be able to pick out the lay-by where we are parked, its just to the right of the isolated clump of trees in the middle of the fields to the left of the road. When we got back to the car we soon made short work of the 2 x 1 litre flasks of cold water which we always bring and leave in the car boot in case we need a drink on our return. Usually they make the return trip back with us too, but we definitely needed them today after finishing off the last of our drinks when we stopped at the Middle Dodd cairn. Its been a hot one alright.